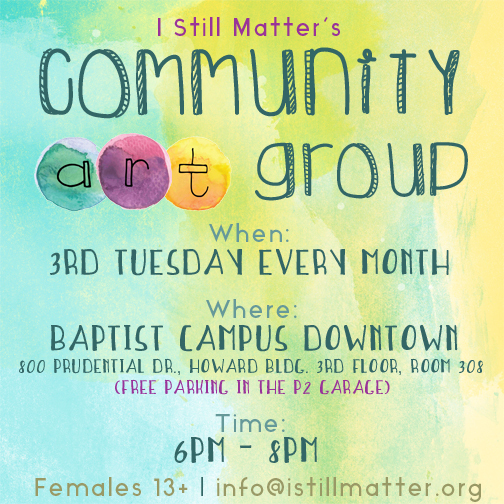 This healing art group is free and created especially for individuals 16 and up. In order to respect the healing environment we strive to create, we ask that you leave your children at home. All art supplies are provided and are of no cost to you! The only thing you have to bring is yourself. Feel free to invite a friend!